Last year, I took both kids camping overnight, on a 1-1 basis. This year, I am pulling out all the stops! 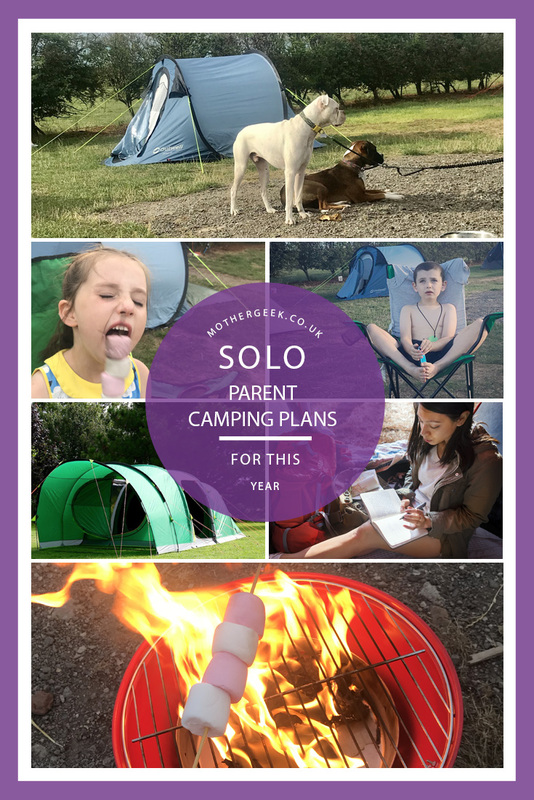 Our family camping plans for 2019 involve me taking them both camping together – by myself! I know what you’re thinking… I’m bonkers! Who in their right mind would choose to take a 6 year old Diva girl AND a 7 year old boy with “low functioning Autism” camping all by herself? The truth of the matter is: I love camping! Hubby hates it, so I either take them by myself, or they don’t get to go. It’s that simple! Last year, we went to Lady Heyes Park in Cheshire, and both kids loved it. For our first trip, I’m going to take them back there again. The one concern I had about taking them both alone was how I’d manage to pitch the tent by myself. I have been obsessively scouring the net for a Fastpitch air tent, and Coleman have sent us a FastPitch Air Valdes 4 tent to review! In case you’re not familiar with air tents, the basic idea is that instead of spending ages setting up poles and threading them through the fabric… You lay out your tent and then use the included pump to inflate the poles. The entire tent can be set up in ten minutes! (I can’t wait to test that claim out)! Check bask soon for a full review! Our 1 season sleeping bags are nowhere near warm enough for anything but tropical temperatures. When we went camping last Summer, it was 25 degrees all day and 10 degrees at night. We were all cold! I am going to get each of us a 3 season sleeping bag, all being well. I’m hoping to get those this month, before the price shoots up to meet seasonal demand. Towels take up a LOT of space when camping. 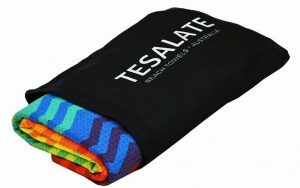 The Tesalate sand free towel is ultra compact and super absorbent – They can hold up to 1 litre of water! They also dry rapidly and are amazingly beautiful too! We’ve been sent one to review (coming soon) but I suspect we’ll need a couple more for our camping supplies too! I love that they are super compact when rolled, despite measuring the same as any other full sized beach towel.  (160cm x 80cm / 63 x 31 inches). They’ll be perfect for drying off after our showers. Last year, I just stole a couple of plates from the kitchen cupboard. This year, I want to get some tin plates and some cheap cutlery just for the camping trips. That way I won’t cry when I inevitably lose one! I also need to get a cheap washing up bowl so I can keep everything together when taking it to wash. Last year, I felt like a bad waitress, balancing everything while walking to the sinks! I definitely need to invest in something to store things like clothes, toiletries etc inside the tent, as well as a camping table. We have a tiny side table, but we need somewhere to eat. I think one of those fold away picnic tables with built in stools will work fine for our needs. That’s about all we need to buy ready for the 2019 camping season. What’s top of your camping shopping list? Finally, If you enjoyed this family camping plans for 2019 post, check out my camping category for more! Ah, that’s brilliant. Hubby is always talking about these fast pitch tents. I’ll send him this to read! You sound really prepared hun and amazingly lucky to have been gifted a tent to test out too. I can’t wait to see that in action. Even with a fast pitch tent I may actually be tempted to try camping myself, the thought of finding the right pole and feeding it through holes really doesn’t appeal to me. Now I just need to find a decent bed instead of air beds and we could be onto a winner! Yay to camping! we love it as a family too and have 5 trips booked in already this year but your new swanky tent is super posh. An air tent is on my must have list when we upgrade. For us camping works well with an event shelter as we often go with other couples and we use it as the central meet up hub around the tents. MY sis worked in a camping and outdoor centre for 18 years, and she said that decent sleeping bags were more important than a decent tent when it comes to warmth. I’m heeding her advice this year! The camping hub sounds like a brill idea too! We have 2 camping trips booked this year So far! I can’t wait! The tent looks awesome, our previous tent was an airbeam, so much faster than poles! Did you find it possible to get it up in under ten mins? I am praying to the camping gods that it’s possible haha! This looks an excellent tent. We are looking later in the year so will keep this one in mind. Lovely post with some useful tips! It arrived today – cannot wait for a dry day to test the “pitch in under ten minutes” claim hehe! Thank you! I remember going camping in the lakes with a cheap festival tent, a roll mat and a 1 season sleeping bag. We practically swam to the shower block at 2am and stayed there til morning when we packed up and went home 1 night into our 7 night “holiday” haha! We’ve only ever done caravan holidays so far as we are non drivers but hopefully that will change in the summer and we can start going camping! I used to love it so much as a kid and I think my two would really benefit from camping too! Such a good way to holiday and tents now come with loads of options for families which is great to see! An air tent sounds like my kind of tent! Great tips! Good luck with your test! (Or your other half). Driving opens so many doors when it comes to travel and adventure! You sound just like my hubby! He refuses point blank to come with us. In his defence, his arthritis does make camp beds pretty awful haha! I would like a tent I could put up more easily by myself too. I saw some Colemans at a camping show recently and thought they looked really well designed! 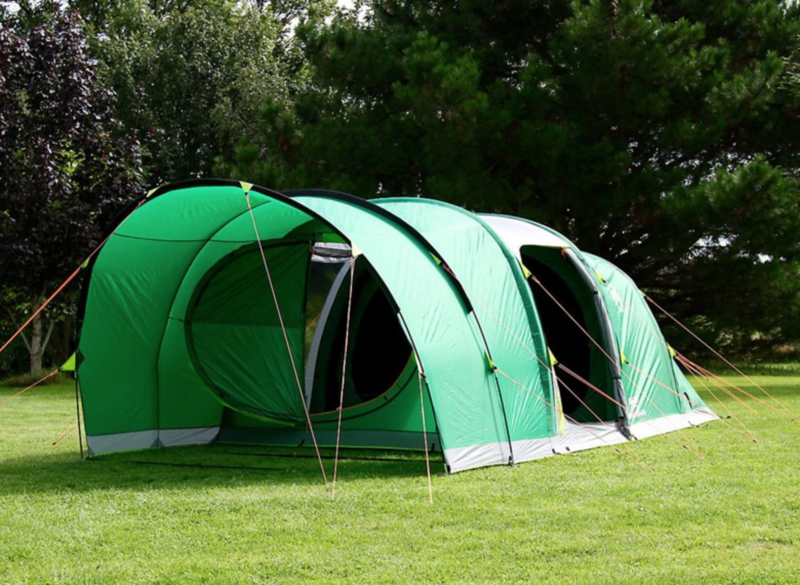 You will love the tent, I have the Valdes 6XL Fast Pitch and pitched it on my own 4 times last Summer (once in torrential rain) and it took around 15 mins. I pitched it a further 5 times with my husband or Mum and it was even quicker. Such great tents, really sturdy, spacious and those blackout rooms are the best!!! YAY! I am so excited about the blackout bedrooms! I’ve an air tent and it makes all the difference. So quick to set up. We are taking the boys camping for the first time this year! Hope they love it as much as my two did last year! We love camping. We used to squeeze our family of 5 into two – small tents. We invested in a 5 metre bell tent two years ago and we love it. We camp at least 3 times every summer. I just love it, so great being outdoors and toasting marshmallows around the fire. Wow what a tent! I love. Camping! I need to go look at this tent for my family!